Looking for a gift to send to loved ones, friends or business associates living in South Africa, then look no further! 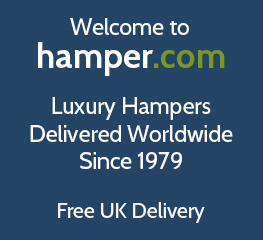 Our range of hampers & luxury gift baskets delivered to South Africa below have been specially chosen to arrive safely in to South African addresses. We offer fast delivery to South Africa and include full UK customer service and no hidden extras. So order your SA gift hampers from hamper.com online today! Find the perfect gift to send to South Africa with this range of SA delivered hampers. Choose from a range of food and drink hampers featuring classic South African brands. Send hampers and gifts to family and friends in South Africa and make them smile even if you cant be with them. it’s easy to send hampers and gifts to family and friends in South Africa with Hamper.com. Our range of hampers make great gifts and presents for a Birthday, thank you and Christmas. Surprise a South African recipient with a delicious food hamper today!